The Ocean State Maker Mill team is hard at work preparing for this year’s Moat Boat Paddle Battle. 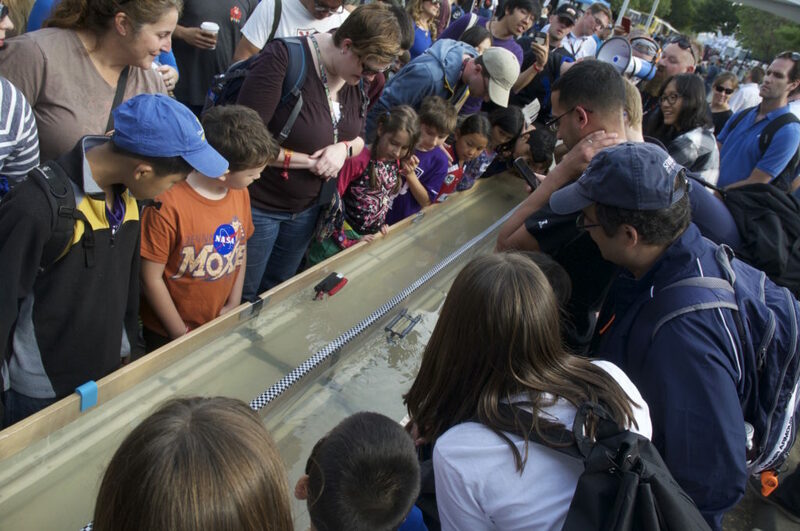 The Moat Boat Paddle Battle is a race of 3D printed, elastic-powered boats that contestants design for competition at Maker Faire and was created by the Ocean State Maker Mill team. Come by this Wednesday (September 14th) to get a sneak peak of our new moats, boats, and plans. As always this meeting is free and open to the public. Doors will open at 7pm at 80 Fountain Street, Pawtucket, RI. Park around back (corner of Blackstone and Middle) and look for the open entrance and sign. There is no formal presentation this time around so it’s a great time to meet the team and come with questions!